Professional sports players, actors, news broadcasters, models, grooms, guys getting interviewed, the prepubescent teen trying to cover his acne scars — these men all use makeup to enhance their attractive features. There’s no shame in wanting to look good, although the standards are very different now. 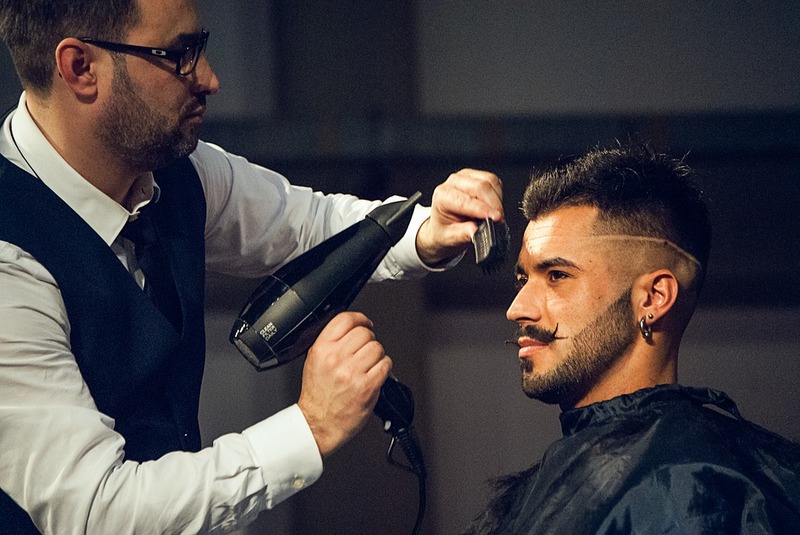 Male grooming has become more normalized in society, and men from all walks of life want to look their best. With over $50 billion a year in grooming products sales sold in 2016, which includes cosmetics and beauty supplies, men have become an emerging market in the cosmetics and beauty world. Whether you want to just look a little better for a photo or try to add more steps into your daily routine, here’s a quick guide to get your perfect look. If you’re somebody who doesn’t want to put too much effort into your everyday look, just get a nice haircut and trim your beard. By simply shaping your beard correctly, you can get a nice, sculptured look. You can either do this at home, if you’re skilled with a set of trimmers, or go to a barber shop and get a hot shave. This can be a relaxing experience in itself. To go the extra mile, you can get your eyebrows groomed as well. “Brow grooming opens up the eyes,” Wendy Sparacino, former featured makeup artist for Bobbi Brown and market trainer for Hourglass Cosmetics, said. If you’re too shy to walk into a salon or booth at the mall, use the Finishing Touch Hair Removing Wand to trim your eyebrows. It’s a $10 product that you can pick up at your local CVS, Sparacino added. After shaping your brows, you can either lightly pencil them in with an eyebrow powder or a brow tint. The color of the product should be close to your hair color, or a bit lighter. Put it on with a light hand and even, small strokes. Primer is a product that is normally used under foundation — which is product that matches your skin color — but it can also be used by itself as a sort of moisturizer. It’s supposed to last for long periods of time and applies transparent, whether the product comes in a color or not. Primer can be used to keep facial hair down and should be applied before concealer, a product used to cover up hyperpigmented areas, scars, large pores and other problem areas on your skin. Apply it like a face cream around the areas you plan to put makeup on or simply want to keep moisturized. After primer, concealer can be used to cover problem areas, such as under eye circles or acne. Bobbi Brown and Dermablend are common brands that men typically use. Make sure to blend out the concealer with your hands or a blending brush, depending on how much product you use, to leave a natural finish. If you need more coverage beyond concealer, you can use a BB Cream or tinted moisturizer. These products are like foundation, as they can even out skin tone, but are much less heavy. Coverage can be light or built up, based on what you prefer. However, the layers should be kept thin and even, keeping an eye on the texture of your skin, which can get cakey with too much product. A good full coverage foundation a lot of men use is Dermablend. It’s a very natural looking foundation. “If you have 5 o’clock shadow, use foundation with powder to create skin texture,” Sparacino said. You should use a finishing powder to set the makeup, so it lasts the full day. A little goes a long way with this product. Too much of it can dry out your face, depending on your skin type. The easiest way to get a foundation, concealer or BB cream that matches your skin tone, is to go into a store and get a consultation. It is generally quick and easy, and they may even send you home with a sample. During this consultation, if you don’t know already, you can also establish what skin type you have: oily, combination, dry or sensitive. Different products work better depending on the skin type. Depending on how much you’re willing to spend, you can go to a place like Ulta and get anything from drug store brands to high end brands and also try out the products for yourself. You can also buy a product on Sephora’s website and return it instore, whether you used the product or not, if you’re unsatisfied with the results. If you really want to make your eyes pop, you can use brown or clear mascara. You can also use clear mascara to set your brows. “They can use brow gel, if they don’t have clear mascara,” said Sparacino. The original eyeshadow Naked Palette is an optional buy that is used to further enhance the eyes. If you want to look like you have a nice tan, you can use a bronzer. If you want to give your face definition, use contour. For example, if you use foundation all over your face and have really heavy coverage, it might be best to use a bit of bronzer or contour so your face doesn’t look flat. Contour can make certain features in your face either stand out or disappear based on how you use it. Look up a chart that matches your face shape, to see how to properly contour your face. For the final step in any look, use a regular lip balm or a tinted lip balm to add some color and moisture to your lips. At the end of the day, do what makes you comfortable. Not every man uses concealer or foundation. You can walk into a store thinking you want something, but leave without anything and it’s perfectly fine. Doing the little things, like taking care of your skin by investing in face creams, can be a big step for you. These routines take time and patience, and if you’re not ready for the commitment, just return what you don’t like to the store or simply put the makeup down. Remember that makeup is supposed to enhance what you have. Be confident in your own skin and people will notice the effort that you’re putting in.